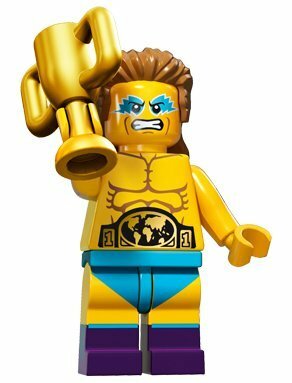 The Wrestling Champion is famous for two things: his unrestrained energy, and his very loud shouting. For him, the entire world is one big wrestling match. Along with wrestling in the ring – and doing it extremely well – he also wrestles his clothes on in the morning, wrestles his car into its parking spot at work, and you’d better believe that he wrestles his lunch all the way down. When you’re the Wrestling Champion, every minor triumph is a major victory that deserves to be shouted about to everyone in earshot. Some might accuse him of bragging, but to him it’s just stating the obvious: that he’s the greatest and most unbeatable wrestler in the entire world. Sure, he’s got a giant-sized ego, but that’s because when your whole life is a wrestling match, you’ve got to be determined to come out on top!